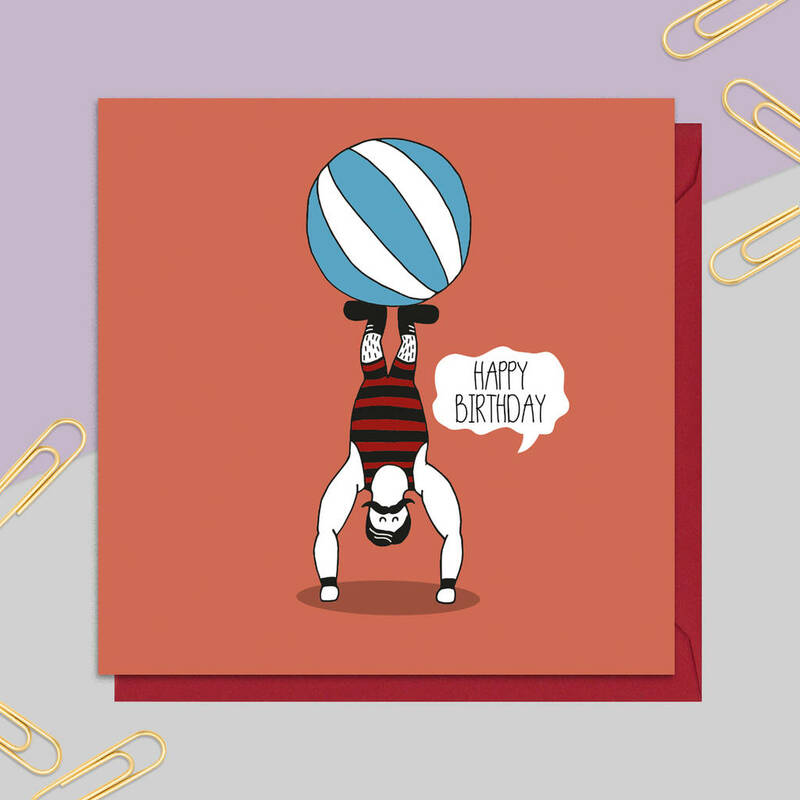 A fun birthday card featuring an illustration of a circus mann balancing on a ball. This card has been left blank inside for a personal message. It comes with a red envelope in cellophane packaging. Our cards are hand drawen in Edinburgh then digitally finished to make them ready to print. 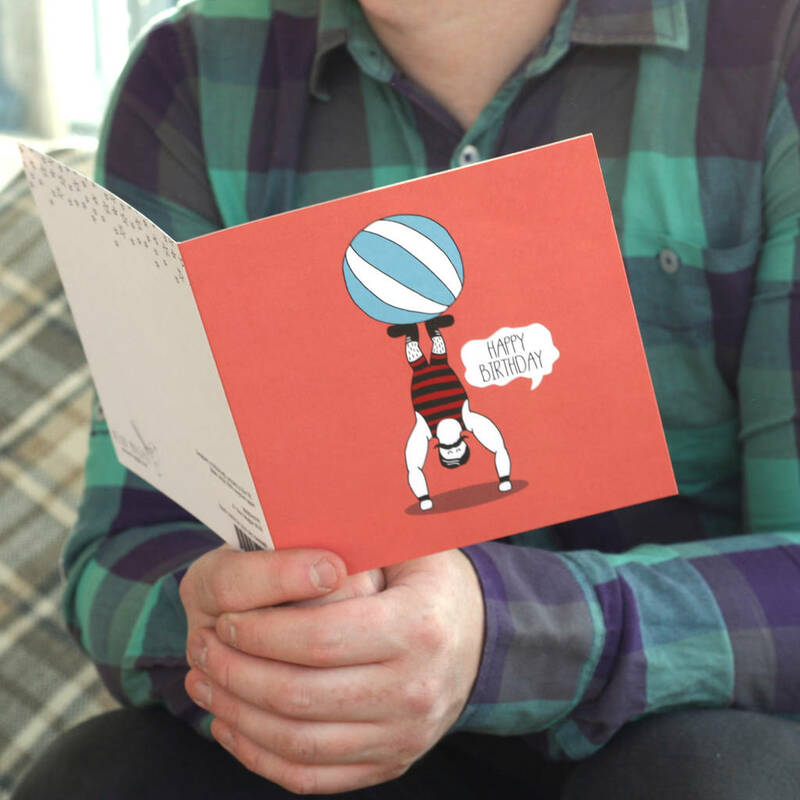 All our cards are printed on high quality 300gsm paper and are made in the UK.